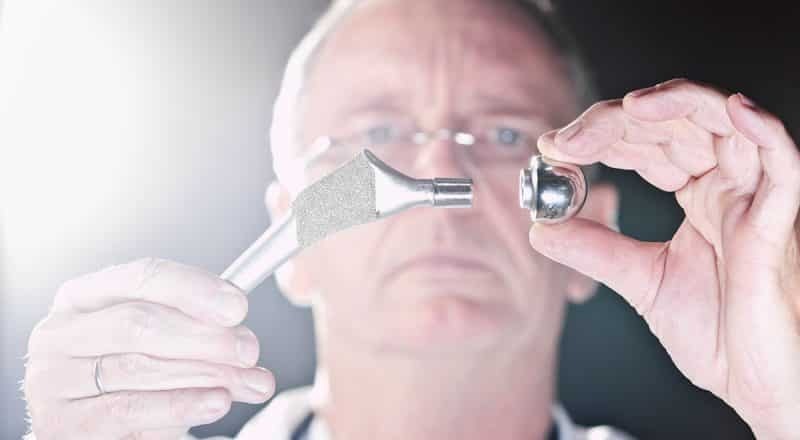 Did you know that between 200,000 and 300,000 hip replacement operations are performed in the U.S. each year? Unfortunately, these types of procedures have become quite common in younger adults and middle-aged patients as well. Although hip replacements hold the most successful rate and cost-effective interventions in medicine, these surgeries are overwhelming and risky. Only those who have gone through or had someone close dealing with post-surgical recovery know how difficult and stressful this procedure can be. Not to mention additional surgical corrections in case an unpredictable health issue arises. On the other hand, any hip injuries leave an impact on the emotional, physical, and financial well-being. Hence, if the responsibility is in the hands of another, medical professionals or individual entities, some compensation is in order to ease the life troubles and support a fast recovery. Class 1. Devices that are necessary and harmless for treating patients such as scalpels and medical gloves. Class 2. Devices like powered wheelchairs and surgical pumps belong to the group of devices that are important to treatments but will probably not cause injuries to patients. Class 3. Devices that don’t assure safety but support the human life. The perfect example for this class are implants. That being said, medical device recalls can occur regardless of the strict and proficient safety measures. In fact, the list containing medical device recalls of 2017 is quite long, which raises serious questions for the patients who have undergone some of these procedures. Can you imagine finding out about another necessary surgery to replace the mistake of the product malfunction? Well, this is an accurate description of any hip recall replacement. The reality is that it is impossible to avoid an occasional device flaw, so the FDA conduct their own investigations or the concerning information might come right from the manufacturers. And, once the FDA make a recall, the device is taken off the market. What to Do If the Medical Device Gets Recalled? If the medical device that supports your hip injury and gives the necessary movement gets recalled, there are three crucial things you have to do immediately. First of all, you need to consult with your doctor. You have to see your options since the device is not in function or can lead to life-threatening circumstances. Though you might have to accept the fact additional surgery is not just a necessity but the only way to regain your health, you don’t have to settle for less than you deserve. Consult with professional attorney services and get a free case evaluation. You may be able to sue the manufacturer if the medical device wasn’t carefully designed. This is especially important to those who will have to pay for additional medical charges out of their pocket because even the health insurance policy doesn’t guarantee full expense coverage. It 2012, there was a huge issue in the Stryker company, as patients applied their Rejuvenate and ABG II modular neck hip stems. The hip replacement manufacturer announced a voluntary recall of the products which caused a lot of public dissatisfaction. Apparently, the problem was in the product’s design that contained both chromium and cobalt which caused microscopic shavings and metal fragments rushing into the bloodstream of patients. This led to severe inflammations and additional surgeries for replacing the defective parts and getting the much-needed pain relief. But, what happened next is what we call justices. Over thousands of injured patients filed a suit against Stryker in federal and state courts. In the end, the suit resulted in $1.4 billion in damages to patients who suffered the implant injuries. Hip replacement treatments are hard enough without having to endure additional operations due to implant failures. So, if there is a case of any wrongful hip recall procedures, it is time to call an attorney and seek your well-deserved compensation.